I’m not really sure where to begin. This email will run a bit longer than my average fishing report, but I need to clarify as much as I can, now, to prevent questions later. Around 2014 I suspended my charter business to focus solely on my music. I needed a break from fishing at the time. But now I am back, and with a bigger boat, and some great options that will satisfy every trip you hope to accomplish. People are fascinated by sharks, hell, I am too. I have always felt that shark fishing was a very overlooked part of fishing in our NJ coastal waters. Don’t fool yourselves, sharks are everywhere, and Jersey offers every species, from Sand Tigers with their curled nasty looking teeth, to great whites, and yes you read that correctly. We are not targeting any of these protected species, nor do we kill them. or harm them, ever. most of the time they never even leave the water. We snap a picture (boat side) and then remove the hook or cut the leader so the hook falls right out. So in moving on…. The Archangel is one of the greatest work boats ever manufactured. Donnie Jones, a fellow in N. Carolina makes the strongest driest hull on the market. I am keeping the Jones Brothers forever —-it is my personal boat and it just flat out catches fish—plus I have a deal with my mate Randy Matlack that if it ever changes hands it goes directly to him. My father in-law loves to fish and he and I picked out a 29′ Cobia center console with Twin Yamaha 150′s on the back, giving me a level of comfort and range that I previously hadn’t known. This boat accommodates more people and adds a some range with twin yamaha 150s on the back. It’s brand new and very comfortable and makes for a nice alternative with the kind of fishing we’ve been leaning towards. 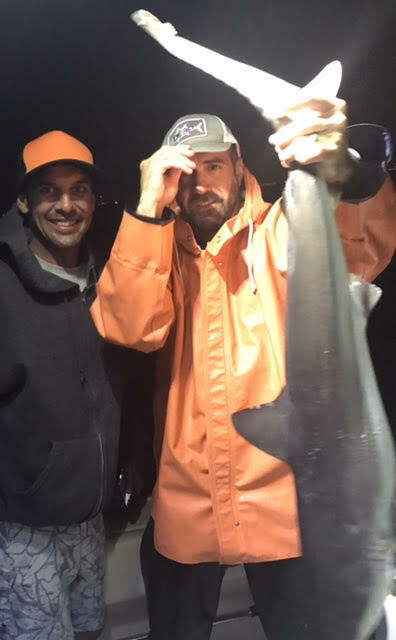 I like to catch the BIGGEST, BADDEST fish available to many at any time of the year, and as my angler Tim learned last night, nothing quite fights like a Jersey Shark. One second (the biggest one we landed) the fish was here, at the boat Portside, then after a scorching 20-second run he was a half mile away getting airborne, and repeat that scenario over and over for 20 minutes and summertime fishing in NJ no longer means dragging flounder off the bottom. You’re wearing the belt and doing toe to toe battle with a huge fish. We ran a shortish trip at 5 hrs and hooked up with ten sharks, of which we landed 4. 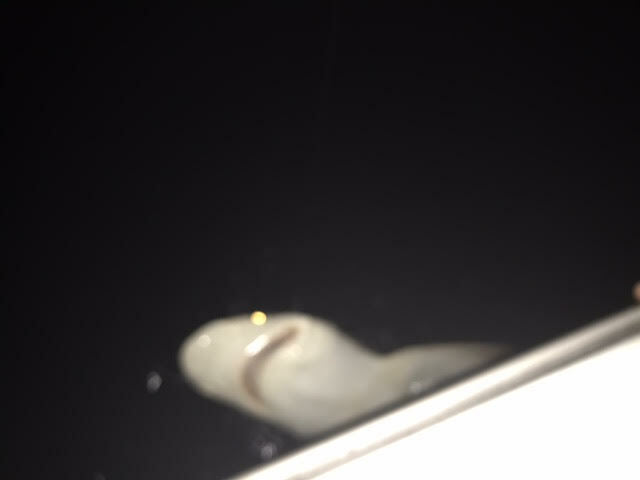 The last shark was too big for a photograph so I just filmed over the port side. So we are running shark trips in the summer—last night on our first charter of the summer, we were even enjoying the fireworks off the Jersey boardwalk from 15 miles offshore. Just as importantly, and for those with a smaller budget, I am also running trips on the Delaware River, literally in my backyard. We are catching some very big totals, 50 to 100 fish a trip. These trips are cheaper, but shorter, and have a max of 2 people, although one is preferred. To book a trip, my number is 215-693-4215. If you have fished with me before you know that I take it very seriously and work 100 percent. The rates have gone up significantly, as have the costs to running offshore. The fuel and the supplies, bait, gas, ice, tackle, etc costs us hundreds of dollars just to get the evening prepared, so all I ask is that you take it very seriously—you’re paying for it and therefore it’s your trip, just please show the boat and the whole affair some respect–these trips will be an occasion you’ll never forget–your arms will be aching after a successful outing. Contact me with as much info as you can provide and we’ll work towards getting you on the books.